Prophets have long recognized that their words carry a force or power that is more than just words, but is like an energy that empowers what they prophesy. Some Christian leaders have also found that they have a “resonance” themselves that helps people move deeper into God. 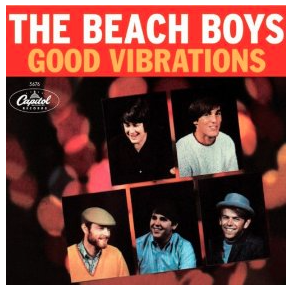 “Good Vibrations”—the chapter’s title is taken from the song written and engineered by Brian Wilson (1942- ), sung by the Beach Boys (1966), and which became a #1 song in the United States and other countries. Rolling Stone called it the sixth greatest song in rock ’n roll history. It is considered Wilson’s crowning musical achievement. But inherent with the song, a fact which escaped many of us who were more affected by the sensations of the music, was the message Wilson tried to communicate—a cosmic worldview with a New Age spiritual component. 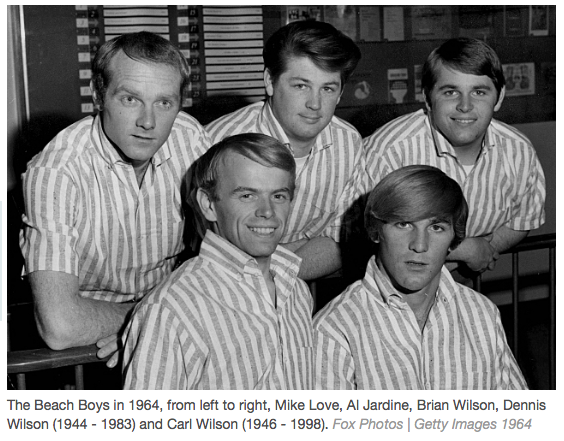 Reflecting the direction the 60s California culture was moving in, Brian Wilson’s life experiences influenced the production of Good Vibrations. With the song Good Vibrations, Brian Wilson had synched the invisible forces of the cosmos with his ecstatic psychedelic experience. By “tripping out” in his mind, he “tuned in” to the universe. As they too were enamored by the feelings the new sound aroused in them, Wilson’s music affected the hearts of millions of listeners. Now a generation later, what was “spooky stuff” to Brian Wilson then, stuff he tried to musically capture and express by combining visionary psychedelics with vibrating technology, has emerged to become “spiritual and scientific stuff” among apostles and prophets of the New Apostolic Reformation (NAR). In her chapter—Good Vibrations—Ellyn Davis draws upon the song’s memory to introduce and present “A Basic Science Lesson About Vibrations,” a kind of crash course on sound, light and energy. (TPOH, 54-63) Her introductory and interesting presentation of the science of energy needs no interaction on the part of this reviewer because it is what it is. Much modern technology based upon wave-particle theory—medical and otherwise—serves as an immense help to humanity’s health and convenience. How many of us use cell phones, computers, microwave ovens or have had X-rays or MRIs taken to diagnose illnesses, and much more? Technology based upon wave or particle observation, calculation and application seems to be everywhere! It can be argued that these benefits and conveniences can be derived from nature because God originally powered it up. “Let there be light” God said, “and there was light” records Moses (Genesis 1:3). Energy derives from God and therefore existentially and ontologically points observers and users to Him, or at least it should. This is not up for debate among believers (Romans 1:20; Psalm 19:1-6). But this observation does not therefore endow light—the thing in itself which secular scientists believe is the essence of the universe—to be divine, though there resides in the human heart the temptation to spiritualize nature and make “It” divine (i.e., pantheism). Energy does not explain God. Only God explains God. Even though God is light (1 John 1:5), the light we experience is separate from Him because He created it separate from Himself (Genesis 1:3-4). Though throughout history the temptation has existed to deify and worship light, light itself is not God. However, some quantum spiritualists would have it otherwise. First, the obvious subject of the paragraph concerns the evidence for and knowledge of God in man revealed by the “wrath of God... against all ungodliness and unrighteousness of men who suppress the truth in unrighteousness” (Romans 1:18). Second, what makes evident the existence of God and human accountability to Him are “His invisible attributes, His eternal power and divine nature” as “clearly seen [and] understood through what has been made” by God (Romans 1:20). So the power of God as revealed in the working of the universe makes any observer accountable to God (including the most renowned physicists). Third, though God’s eternal power and divine nature are evidenced in the universe’s mechanical working, the majority of humankind suppresses the inference that God is. Instead, they develop natural or spiritual explanations (like evolution and pantheism) to explain creation; and this to dismiss any idea of personal accountability to the Creator who “just might” hold them responsible and accountable for their unrighteousness, which sin contributes both to their misery and those around them. And fourth, rejecting the obvious places God-deniers between a “Rock” and “a hard place.” The Rock: “Is there any God besides Me, or is there any other Rock?” (Isaiah 44:8b). The hard place: “The fool has said in his heart, ‘No God’!” (Psalm 14:1). The point: While Romans 1, verse 20 has everything to do with natural or general revelation (i.e., there’s enough evidence in nature to make every person accountable to God), it has nothing to say about tapping into nature’s vibrations to experience power. This verse Davis cites to support her theory that vibrations exist by which believers can power-up their ministry is misguided. The verse concerns revelation not resonations. One endorser of The Physics of Heaven, himself a prominent quantum spiritualist, claims that there’s an “amazing convergence between the insights of quantum physics and biblical revelation!”(Phil Mason, TPOH, Endorsements) Though this may be true as regards God’s revelation of Himself in nature, it becomes a quantum leap to believe that Christians can get into super-nature by tapping into the energies in that realm. Such a quantum leap Scripture does not support. But new prophets take the leap anyway. In the above statement Davis makes a sort of Freudian slip. Note her assertion: “Prophets have long recognized that their words” pack power. Based upon her assertion, questions need to be asked, the ministry of the biblical prophets understood, and the implication of her statement addressed. 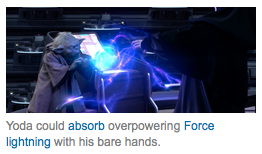 Where does the force come from? Does the residing energy in the universe some how amp-up their words in a megaphonic way? Do their words exceptionally vibrate because as prophets, they speak them? Or do they pack power because the words are God’s? To understand the power source of the true prophetic word of God, we look at the Old Testament prophets. The designation “prophet” denotes an individual who speaks for God. The Hebrew word nabiy’ means “spokesman.” The New Testament Greek word prophetes means “to speak for.” Though the analogy does not fit on all points, the prophet’s function might be compared with that of the President’s Press Secretary. At news conferences held in the White House, the secretary briefs the press corps regarding issues of the President’s administration. The Press Secretary speaks, sometimes misleadingly, for the President. In similar way, the divinely inspired prophets of the Bible spoke, not misleadingly, for God to the nation of Israel and later in the early church. But in their communications, Scripture is careful to point out that the biblical prophets did not speak “their” word, but the Lord’s. Star Wars "May the Force be with you." The prophets, in a peculiarly exact way, identified their . . . message with the word of God: ‘Hear the word of Jehovah. The word of Jehovah was addressed to me in these words. The mouth of Jehovah hath spoken. Jehovah spake unto me. Thus hath Jehovah said unto me,’ etc. We find such expressions in Isaiah 120 times, Jeremiah 430 times, Ezekiel 329 times, Amos 53 times, Haggai 27 times (in 38 verses) and Zechariah 53 times. Furthermore, the Lord told Jeremiah that the power of the Word spoken by the prophet was His. “‘Is not My word like fire?’ declares the Lord, ‘and like a hammer which shatters a rock?’’ (Jeremiah 23:29). By stating that these modern-day prophets have long recognized that their words carry force, does the author thereby betray that these self-proclaimed prophets really are speaking words which are, “Not from the mouth of the Lord”? (Jeremiah 23:16) After all, Davis specifically states the words of these prophets are theirs. In that the new prophets recognize the resonating power of their words (Remember, the words are theirs. ), what does this imply as regards the absolute authority of Scripture? Some of these prophets claim that their word is on a par with with Holy Scripture (In other words, there is no real separation between what they speak and what stands written.). One of them, perhaps “speaking for’’ others, has stated: “The same biblical principles about the attitude that we are to have toward the written word, the logos, should be applied to the rhema that is declared prophetically.” The new prophets and apostles therefore believe, given their authority, that the innovative word they speak can either supplement, even supersede, the written Word of Scripture. After all they recognize their words contain a force or power that goes beyond normal speech. So let “experience” be the guide. By experience these new prophets are, according to Davis, turned on with because they are tuned in to nature’s vibrations. Not only have these new prophets discovered “that sound, color, and light have healing frequencies to them,” but also “that they have a ‘resonance’ themselves that helps people move deeper into God.”(TPOH, 53) Christian leaders (likely referring to NAR apostles and prophets) are able to channel the universe’s quantum energy to heal and help others move deeper into God. Note the claim: Some Christian leaders “have a ‘resonance’ themselves.” From this statement questions arise. First, do some Christian leaders possess a resonance themselves? And second, can this resonance move people deeper into God? If this is the case, it must be asked, whatever happened to the ministry of the Holy Spirit? Do people move deeper into God by auric resonations emanating from certain Christian leaders? Or, do Christians move deeper into God by His revelation of Himself through Christ in Scripture as born witness to by the person and power of the Holy Spirit? The biblical answer is obvious. Based upon this passage of Scripture, I ask one question: Who moves people “deeper into God”? The answer is not a cadre of Christian leaders who carry about a quantum “resonance” within them—whatever that is—but the Holy Spirit! The Holy Spirit leads all believers in to the “deeper life,” and furthermore through the Holy Spirit every believer is a “partaker of the divine nature” (2 Peter 1:4). Though we may cultivate life in the Spirit, we neither originate it nor activate it! The Holy Spirit: Person or Resonance? By proposing that people lead other people deeper into God raises some genuine theological concerns. First, claiming that certain Christian leaders possess “resonance themselves” infers that “manifest sons of God” possess power to influence other persons. So in believing they possess such “resonating,” it becomes a small step for them to assert themselves to be little gods, and in doing so, they in effect become usurpers of Jesus. Arius regarded the Spirit not only as a creature, but as created by Christ, ktisma ktismatos, the creature of a creature. Sometime afterward, his [ed., the Spirit’s] personality was wholly denied by the Arians, and he [the Holy Spirit] was considered as the exerted energy of God. With this quantum emphasis upon “resonating” Christian leaders, it becomes interesting to see how faith in the distinct person, power and ministry of the Holy Spirit is being reduced, even ignored. The irony of it all is that this is happening within a movement that owes its origin to the Pentecostalism which once-upon-a-time (at the turn of the last century) placed a premium upon the Holy Spirit’s ministry (i.e., the baptism of the Holy Spirit authenticated by speaking in tongues, and a revival of the spiritual gifts). Thus, these new apostles and prophets reveal themselves to be apostates from their Pentecostal heritage. In light of Jesus being the arbiter of when and how people get and go to Heaven, this mediator claim is outlandish (i.e., that like Mary, she can help people get to heaven). The idea that for reason of being exposed to Judy Franklin’s auric energy, people can more easily take an inter-dimensional trip to Heaven (and presumably back again) imposes upon, even usurps, the promise, prerogative and the ministry which belongs to Jesus Christ alone; that is, if His incarnation, death, resurrection, ascension and promised return mean anything. This teaching suggests that for traveling to Heaven temporarily, certain Christians might need Judy more than Jesus. Further, Davis claims a “spiritual-gift aura” surrounds Larry Randolph, a NAR prophet. Of his teaching, she explains—again usurping the ministry of the Spirit—that Randolph “has always taught that proximity to someone who already operates in a particular gifting is crucial when learning to operate in that spiritual gift.”(TPOH, 53-54) This claim is asserted despite the Apostle Paul’s teaching that, “there are varieties of gifts, but the same Spirit” (1 Corinthians 12:4). Then after listing a number of spiritual gifts, Paul goes on to say, “But one and the same Spirit works all these things, distributing to each one individually just as He wills” (1 Corinthians 12:11). Spiritual gifts are given according to the will of the Holy Spirit. They are “gifts.” Believers cannot buy them. They cannot earn them. We can only receive them, and their reception and refinement comes not by human influence, but by the sovereign Spirit’s endowment and discipleship. In her chapter “Good Vibrations,” Ellyn Davis asks, “Could it be that there are things that we can better understand about God through things He has made such as vibrations and frequencies?”(TPOH, 54, Sidebar, 55) This question is premised upon natural theology; that humans can discover God via the inferences that can be made about Him from nature. The ancient Hebrew writings, Apostle Paul, Church Fathers, theologians, and even some scientists would answer her question in the affirmative. There is a sense that, “The heavens are telling of the glory of God; And their expanse is declaring the work of His hands” (Psalm 19:1). Natural theology, that is, insights about God based upon observing the order and functioning of the natural universe, can but does not necessarily—as Romans 1:18-23 teaches—lead observers to believe that a highest power originated and rules the natural order of things. But what natural theology cannot do, in and by itself, is prove the existence of the Christian God, even though Scripture declares the Lord Jesus Christ to be the Originator of it all (John 1:3; Colossians 1:16; Hebrews 1:2). Any faith in Jesus depends upon special divine revelation; that is, the historical witness to Jesus’ exceptional incarnation, vicarious death and atonement for our sin, victorious physical/material resurrection from the dead, and personal return to this planet in the future, all of which the Holy Scriptures inspired by the Holy Spirit bear witness to (John 15:26; 2 Peter 1:19-21). While natural theology can lead to the proposition God is, that same theology does not necessitate the proposition Jesus is God. To that end, special revelation must have been given and then accepted. Absent the intervention of special revelation in Christ and Scripture in history, inferences from natural theology become dead end streets in the human quest to know and experience God. So it must be concluded that Ellyn Davis’ theory that connecting with the nature’s vibrations will somehow empower Christians to live more supernaturally is a wishful fiction, even spiritually dangerous because the Apostle Paul calls demons “rulers (archas) . . . powers (exousias) . . . world forces (kosmokratoras) of this darkness . . . spiritual forces (pneumatika) of wickedness” (Ephesians 6:12). Upon reading the Apostle’s description of the powers belonging to demons, believers must be impressed that the new quantum-power spirituality being peddled by the new prophets and prophetesses might well be a seductive “scheme of the devil” (Ephesians 6:11; Compare Colossians 2:8). Connect the dots: quantum light, colors, sounds, energy, vibrations . . . the devil’s powers, forces, spiritualities. One point is certain, being rooted in nature, quantum-nature spirituality does not communicate the Gospel (1 Corinthians 15:3-4). 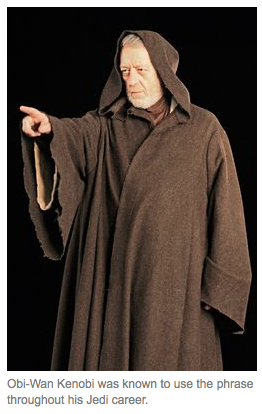 “The Force is what gives a particle physicist his powers,” said Cern scientist Ben Kenobi of the University of Mos Eisley, Tatooine in a press release. 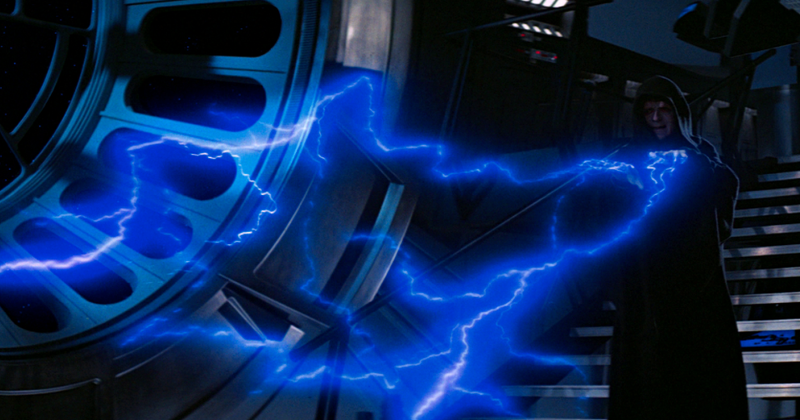 Many scientists at the centre were already using The Force, said the release, to communicate over long distances, influence minds and for “lifting heavy things out of swamps”. Of course, the whole thing was a spoof. It’s interesting that what is “spoof” to CERN scientists (an April Fools Day gag) has become spirituality to modern day prophets. Need any more comparison or comment be made, other than to say Satan is a master masquerader? 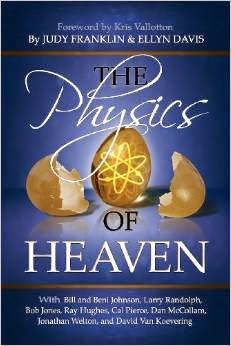 Ellyn Davis, Chapter 6: “Good Vibrations,” The Physics of Heaven: Exploring God’s Mysteries of Sound, Light, Energy, Vibrations and Quantum Physics, by Judy Franklin & Ellyn Davis (Crossville, TN: Double Portion Publishing, 2012): 53-63. Brian Wilson, “Good Vibrations: Meaning,” Shmoop (http://www.shmoop.com/good-vibrations/meaning.html). 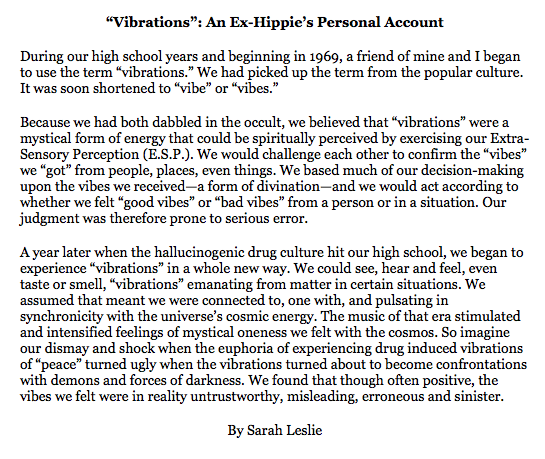 “Vibrations,” Encyclopedia of Occultism & Parapsychology, Volume Two M-Z, Edited by Leslie Shepherd (Detroit, MI: Gale Research Inc., 1991, Third Edition): 1772. To this point, it should be noted that trance music, as well as other Eastern religious or New Age meditative music stimulates positive experiences in the human soul. See Larry DeBruyn, “Getting High on God: Inner Opiates and the Genius of the Megachurch Experience,” Guarding His Flock Ministries, September 6, 2012 (http://guardinghisflock.com/2012/09/06/getting-high-on-god/#more-2212). See also “Trance Music,” Wikipedia: The Free Encyclopedia (http://en.wikipedia.org/wiki/Trance_music). Brian Wilson, “Good Vibrations: Lyrics,” Shmoop (http://www.shmoop.com/good-vibrations/lyrics.html). According to the physical laws of thermodynamics, the Force or energy is dissipating anyway (See 2 Peter 3:11-13; Isaiah 51:6). When used, energy use results in friction loss. In other words, the sun will burn out eventually. So why would anyone want to tap into an energy that’s temporal? René Pache, The Inspiration and Authority of Scripture, Translated by Helen Needham (Chicago, IL: Moody Press, 1969): 81-82. Bill Hamon, “The Fulfillment of Your Personal Prophecy,” in Héctor Torres, The Restoration of the Apostles and Prophets: How It Will Revolutionize Ministry in the 21st Century, Foreward by C. Peter Wagner (Nashville, TN: Thomas Nelson, Inc., 2001): 82. See Sarah Leslie, “The Return of the Warrior-Prophets, Networking the Church: Part 4,” Herescope, March 8, 2007 (http://herescope.blogspot.com/2007/03/return-of-warrior-prophets.html). In physics, resonance refers to the, “Enhancement of the response of an electric or mechanical system to a periodic driving force when the driving frequency is equal to the natural undamped frequency of the system.” See Webster’s II: New College Dictionary (Boston, MA: Houghton Mifflin Company, 1995): 944. Pastor Larry DeBruyn, “On Theosis, Or Divinization: What does it mean to be “partakers of the divine nature”? Guarding His Flock Ministries, January 11, 2012 (http://guardinghisflock.com/2012/01/11/on-theosis-or-divination/#more-1989). Emphasis added, Richard Watson, Theological Institutes: A View of the Evidences, Doctrines, Morals and Institutions of Christianity, Volume I (New York, NY: T. Mason and G. Lane, 1836): 630. Emphasis added, William G.T. Shedd, Dogmatic Theology, Volume I (New York, NY: Charles Scribner’s Sons, 1888): 328. “This is because it [natural theology] distracts from the comprehensiveness and exclusiveness of Christ as the revelation of God. For Barth (Karl Barth, 1886-1968) there is [was] no other source of the knowledge of God than Jesus Christ as he is witnessed to in the Scriptures.” See T.H.L. Parker, “Natural Theology,” Baker’s Dictionary of Theology, Everett F. Harrison, Editor-in-Chief (Grand Rapids, MI: Baker Book House, 1960): 372. Larry DeBruyn, “The Supreme Supremacy of the Lord Jesus Christ: Christ before Cosmos,” Guarding His Flock Ministries, August 13, 2013 (http://guardinghisflock.com/2013/08/13/the-supreme-supremacy-of-the-lord-jesus-christ/#more-2442). 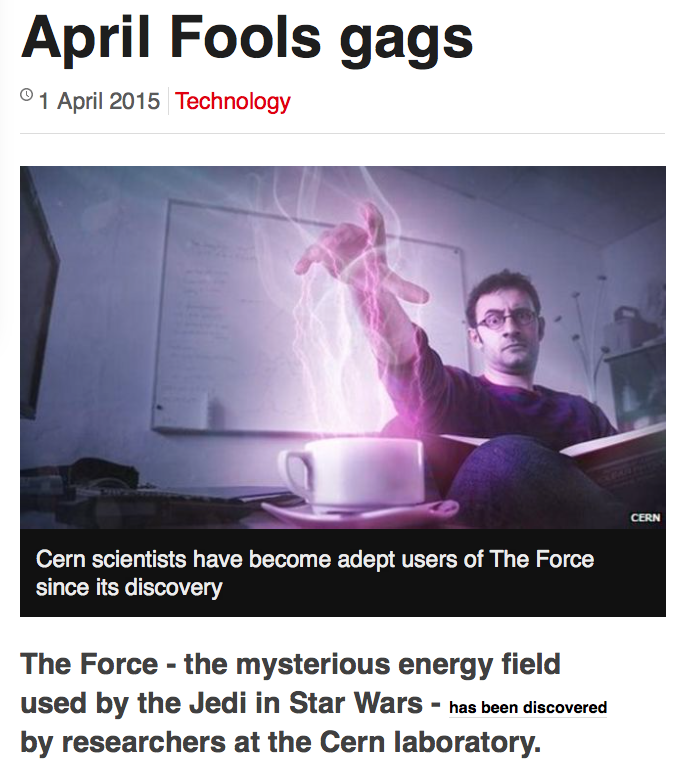 “Tech sites lead on April Fools gags,” BBC News, April 1, 2015 (http://www.bbc.com/news/technology-32145885). Those of us who are not “Trekkers” need to aware that Mos Eisley is a spaceport on the planet of Tatooine in the imaginary Star Wars universe. Obviously, there’s no CERN or university there. Obi-Wan Kenobi (The April Fools Day “Professor” Kenobi played by Alec Guinness) describes Mos Eisley as a “wretched hive of scum and villainy.” See “Mos Eisley,” Wikipedia: The Free Encyclopedia (http://en.wikipedia.org/wiki/Mos_Eisley). The graphic at the top of this post is a Herescope original, combined from an image of Darth Sidius from Star Wars HERE and Michelangelo's "The Creation of Adam" HERE.